Enjoy historical and cultural walking tours in Encinitas, CA, and Carlsbad, CA! These two iconic beach towns in North San Diego County fully embrace California’s laid back, “life’s a beach” mantra. Join us on a walk through history, from the 1880s through today, to experience the evolution of these quirky and unique communities. On our walking tours in Encinitas and Carlsbad you can enjoy scintillating stores, amusing anecdotes, and tales of the eccentric and wonderful personalities that helped shape these locations into the charming beachside towns they are today. You may even hear a ghost story! Along our walks, your personal tour guide will introduce you to some of our favorite local hot-spots, restaurants, and other businesses located within the communities. Our guides will provide cultural background of our cities, provide you tips to the local spots to explore later, and leave you with a bag of redeemable coupons to use at those interesting spots. 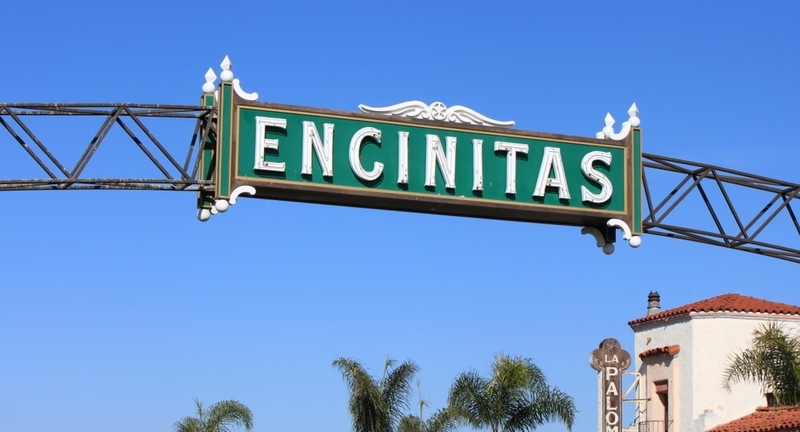 Recently named one of the best surf towns in the world by National Geographic, Encinitas is an eclectic city with a great cultured history, unspoiled beaches, wetland preserves, and other stunning landmarks. Enjoy the stories of the famous boat houses, Moonlight Beach, the Derby house, and the surfing Madonna on our tours. Carlsbad has long been a place to gather, relax, enjoy the beach and have fun. The kick-back beach culture along with a rich and varied history makes this city an enchanting spot to explore. Home of Legoland, Carlsbad Mineral Water, Calloway Golf, and the famous flower fields of Carlsbad, the city abounds with activity. Welcome to Walk the City Tours. Our mission is simple. “Stroll thru the past. Leap into the Future.” As Encinitas and Carlsbad residents, we are passionate about our communities, proud of our history, and excited to tell our cities’ stories! Stroll thru the past. Leap into the future.